I will give THE BOURNE LEGACY credit for being original in one major area: it’s not a prequel or sequel to the previous three Jason Bourne movies starring Matt Damon. The events of this movie take place at the same time the events of “The Bourne Ultimatum” play out. Jason Bourne is mentioned a few times and we briefly see pictures of him but for all intents and purposes these are new characters dealing with a different level of fallout caused by Jason Bourne exposing Operation Blackbriar and Project Treadstone. But after that I’m sad to say I can’t give THE BOURNE LEGACY any more credit after that. Matter of fact, by the time I got to the end of the movie (which has a terrific new version of Moby’s “Extreme Ways” playing over the credits) I felt the filmmakers owed me. While Jason Bourne is in Manhattan carrying on cranky, CIA Director Kramer (Scott Glenn) and Mark Turso (Stacy Keach) bring in Eric Byer (Edward Norton) to help control the chaos. Turso and Byer are apparently part of a larger organization/conspiracy that has way more power than the CIA since Byer is able to sanction the dismantling of all CIA Black Ops programs. Including Operation Outcome which is genetically modifying super agents through blue and green pills that enhance physical and mental abilities via a virus that can actually restructure DNA. Byer also sanctions the assassination of all Outcome operatives. 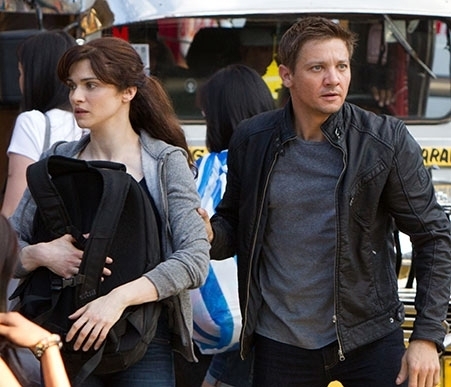 One of these super agents, Aaron Cross (Jeremy Renner) is on a training mission in Alaska. He meets up with another operative, Number Three (Oscar Isacc) and caught by a blizzard, accepts Number Three’s invitation to stay the night. Kinda makes it easy for Byer to attempt to kill them both by using a U-CAV to blow up the cabin. Cross alone survives and somehow makes his way back to the lower 49 as he is out of blue and green pills and must get a new supply. Virologist Dr. Marta Shearing (Rachel Weisz) is the only one who can successfully make more pills, all the rest of her colleagues having been brutally murdered in what is for me the movie’s best and most suspenseful scene. Marta barely survived that massacre and it’s only through Cross showing up at her house in time that she survives a hit team of CIA agents sent to kill her. From then on, it’s Cross and Marta trying to stay one step ahead of various attempts to kill them. The film jumps back and forth between them and Byers, Turso and a buncha other suits in a control room that would give NASA technicians fits of envy. They spend most of their time fretting about their dirty tricks being discovered. Really. That’s all they do. They also yell at each other a lot. Cross and Marta don’t do nearly as much yelling but they sure do a lot of running. I really wanted to like THE BOURNE LEGACY a lot. There isn’t an actor in this movie I don’t like or didn’t turn in a solid, professional performance. 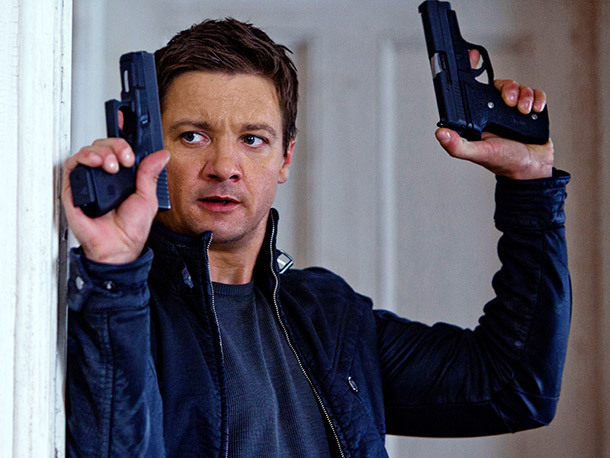 Jeremy Renner with this movie goes up a dozen rungs on the ladder to being the Next Big Action Star. 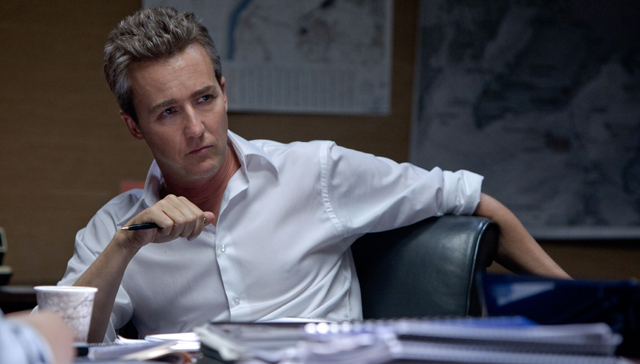 Edward Norton doesn’t know how to do anything less than be terrific in any movie he’s in and Rachel Weisz is way more interesting playing a scientist than a lot of other actresses who have played brainy types. But it’s that first hour of THE BOURNE LEGACY that sank the movie for me. Now I don’t mind a movie that makes me work and makes me think about what I’m watching but there is so much that happens in the first hour that is not explained and characters introduced and I wasn’t sure of who they were or why they were there or what they were doing or why should I care about any of it. Maybe it would have helped if I had re-watched the first three BOURNE movies before seeing this one but I don’t think that really would have helped. The only actors from those movies who are in this one are Joan Allen, David Strathairn and Albert Finney but their appearances are little more than cameos. John Gilroy did the editing for this movie. Now if you’ve been reading my reviews for a while you’ll note that I generally don’t mention editing unless it’s spectacularly bad and it is in this movie during the action and fight scenes. You can’t convince me that Aaron Cross is supposed to be an unstoppable fighting machine unless I can tell who he’s hitting and how he’s hitting them. Just a frantic blur of motion and bodies flying through the air don’t cut it for me. It’s not shaky-cam but it’s almost as bad. Another thing that bothered me was the high number of innocent bystanders who get killed in this movie. If I’m correct and counted right, Aaron Cross kills at least six people who have nothing to do with the conspiracy trying to kill him and were merely people who were just doing their jobs. They’re just in the wrong place at the wrong time. And by the time I got to the ending I finally figured out why the movie is constructed the way it is. The studio is obviously so convinced this movie is going to be such a huge hit that a sequel is guaranteed and they needed to save a lot of story for that. 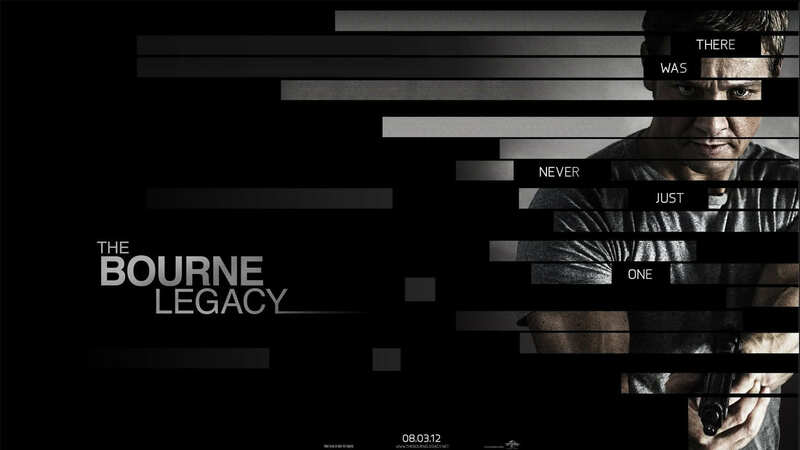 So should you see THE BOURNE LEGACY? I’m gonna grudgingly say yes. It’s not that it’s a bad movie. It’s professionally made and the performances are good. But it’s just that whole confusing first hour that didn’t work for me and the poorly edited action sequences. I felt the same about the movie as you did, but in its defense, the lead character never said he was a good guy. All he ever wanted to do in the film was survive. He saved Dr. Marta Shearing for completely selfish reasons. He wasn’t out to stop some big conspiracy, and his goal wasn’t to save lives (other than himself). By the end of the movie, he does develop some feelings for Shearing, but is it love or simply an unconscious awareness he may need her again in the future? Killing innocent folks fit this character’s personality, I think, because he’s only concerned about self preservation. In time, he will most likely think of others, if the studio wants to play his character as the good guy. Well put, Keith. When you lay it out like that I have no choice but to agree with your reasoning. I’m glad to hear that the shaky-cam is gone. After watching the second Bourne movie I swore off anything directed by Greengrass. Still, incomprehensible fight scenes without shaky-cam is only the slightest of improvements. I kinda expect the Bad Guys to kill innocent bystanders in a movie/book/comic because…well, that’s what Bad Guys do, after all. But when the character who is presented to us as The Good Guy does it, well….he really isn’t such a Good Guy, is he? After the movie when we were discussing it, Patricia said that Aaron Cross had no way of knowing who was part of the conspiracy and who wasn’t and he IS trained to be a killer so that’s what he does. I admitted she had a valid point but it still didn’t sit right in my gut.